What better treat to make you bolt out of slumber on a Sunday morning than some delicious, light and airy waffles. This super simple recipe will deliver the goods! 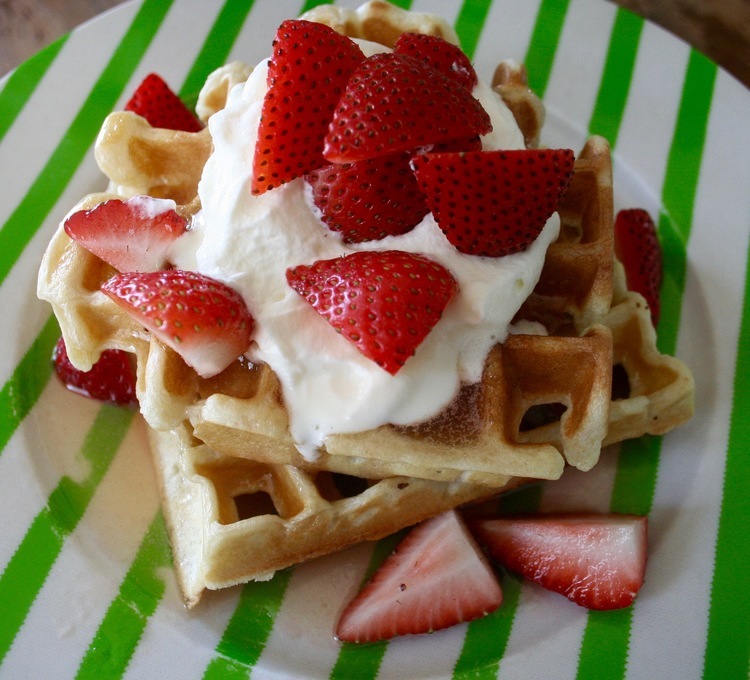 Heat up your waffle iron! In a blender add the first 4 ingredients and whiz up. mix the dry ingredients on a bowl and add slowly to the wet mixture. Voila! Make waffles... Meanwhile add all the sauce ingredients in a small pot and boil on high for about 10 mins. Whip cream and chop strawberries. Plate and serve and delight your loved ones!